Modern people are picky and it’s getting harder for companies to grab their attention. 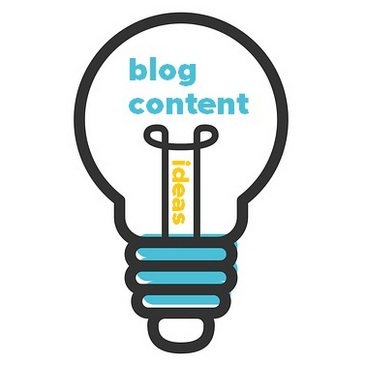 Today, you cannot just produce one blog post a week and wait till users will find it. If you want to get the desired results, you need to design an outstanding diversified content strategy. 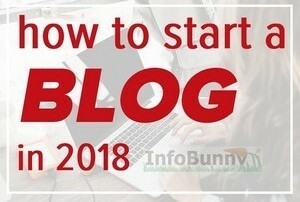 Check the following ideas, which will help to take your business to the next level. Today, the video is the king of content. Modern users don’t want to read the long posts. They prefer to watch videos. If a young girl wants to cook a cheesecake, it’s more likely that she will try to find a recipe on YouTube than reading 2,000 words article. If a man wants to know how to build up the biceps, he will search for the videos, not for the photos. Users prefer video because it allows them to get the desired information in the simplest and fastest way. So, if you want to attract your target audience, you should be ready to create content they are looking for. Let’s consider what types of videos you can create. Imagine for a moment that your company sells sporting goods. You should discuss the features of the product in detail. Even if you review ordinary weightlifting gloves, you can say a lot about them. Discuss their quality, materials, sizes, available colours, etc. 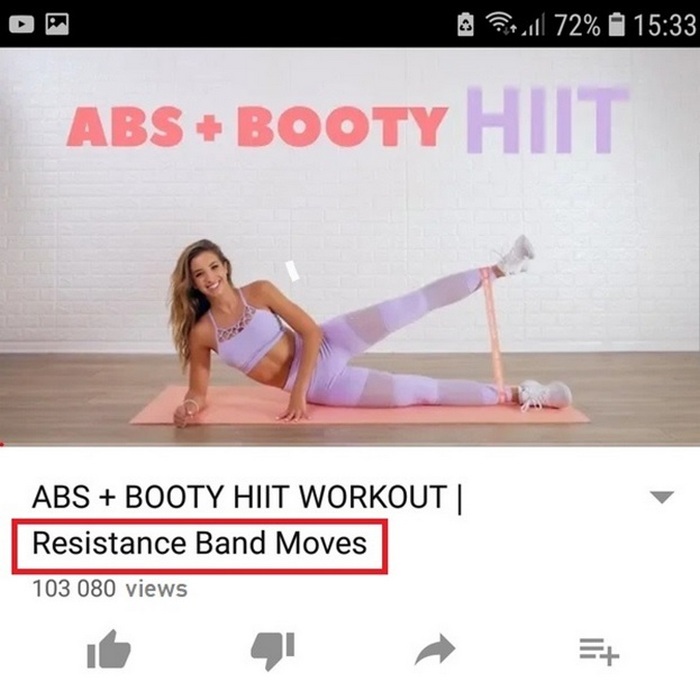 If you sell resistance bands, you should explain how to use them, because not everyone knows how they work. A short video, which explains how to do basic exercises will convince users to buy this product. Your target audience wants to know more about you and your company. So, it would be great if your show how you design new products and where you produce them. Also, you can introduce your key employees, which greatly contribute to the company’s success. The target audience wants to hear an expert opinion about topical issues. If your work in the fitness industry, you can interview a physiotherapist for example. 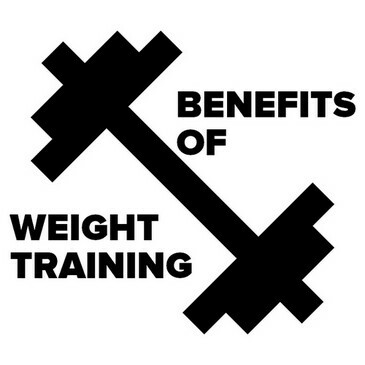 You can ask popular questions such as “Should women lift heavy weights?” or “What is the best time of day to exercise from a scientific point of view?”. You should encourage your customer to film the process of unpacking received orders. This kind of video is in demand because it allows the target audience to understand how your products look like in real life. Influencer marketing is a very powerful tool, which helps to attract the attention of the target audience really fast. You should find the most popular Instagram members, bloggers and YouTube vloggers in your niche and collaborate with them. Publish a sponsored post, which contains a direct product placement. In this way, you will showcase your goods and services to the big audience. 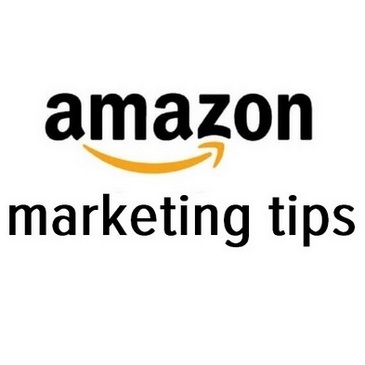 It will help you to raise brand awareness. Take into account that it’s better to use hashtag #ad to be honest with the followers. Mention your brand. If you don’t want to irritate your customers with the intrusive ad, this is the best option to choose. You can add mentions at the end of the post. Run giveaways. If you want more people to take part in your giveaway, you should make an announcement on a few different profiles. 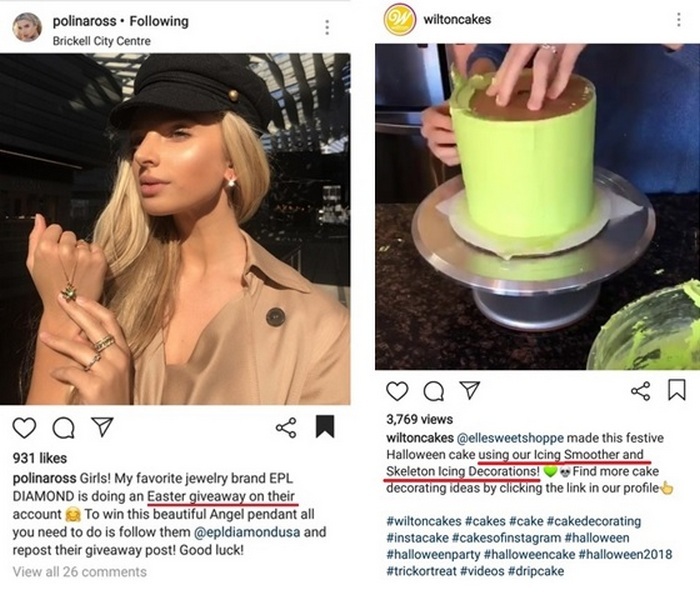 For instance, EPL Diamond informed its target audience about Easter giveaway with the help of 10 popular beauty bloggers. Teach and educate the followers. You can ask a digital celebrity to explain how to use your products. For example, Wilton, a manufacturer of cake baking and decorating products invites famous bakers to show how to beautify their desserts. Have you already built your personal brand? If your answer is NO, then it’s time to fix this huge mistake. The point is that if you become an influencer in your niche, you will be able to attract the target audience’s attention to your brand without outside help. You will be able to share content related to your company, convincing your followers to purchase your products. There are a lot of famous people, who created their personal brand to take their business to the next level. Gordon Ramsay, one of the most famous chefs, is a great example. 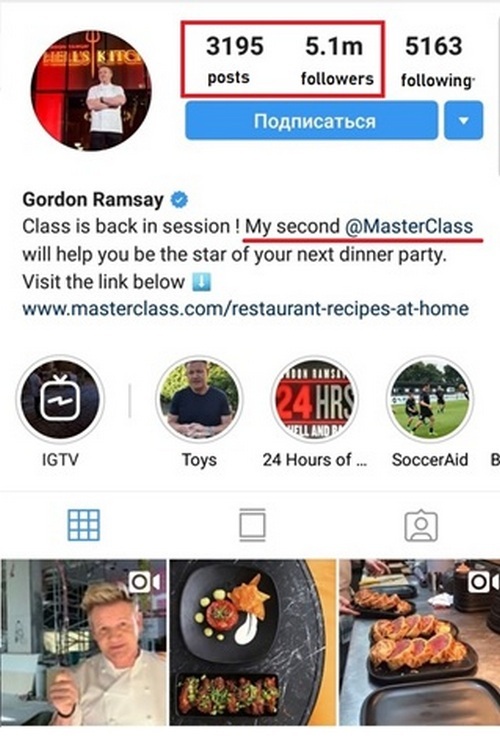 He used his knowledge, talent, and charisma to become popular and attract new visitors to his fancy restaurants and masterclasses. You should understand that you can’t build a personal brand in a week. It will take you a lot of time: maybe a few months maybe a few years. Choose your specific niche, in which you can play a role of an expert. Select one or two social networks, which your target audience prefers to use. Start producing high-quality content. Express your professional opinion about the topical issues, events, etc. Participate in discussions and groups on Facebook and LinkedIn related to your business. Communicate with your target audience: ask the questions, generate discussions, and answer to every comment. In other words, you should be very active on social media. Try to show your expertise, be honest and respectful of your followers, and then you will achieve your goal. The Ice Bucket Challenge, Kiki Challenge, Mannequin Challenge won the attention of million people all over the world. Hundreds of users posted new videos and photos every day. These challenges became extremely popular, so why don’t you create something similar? If you want to enhance brand awareness and increase your social media following, you should start your own challenge. You should come up with an unordinary idea, which your target audience will find very interesting and exciting. It’s not that hard to start a challenge. Come up with an original title. Make sure that it’s memorable. Create unique hashtags. It’s really important for tracking the results of your challenge. Outline the basic rules of the challenge. Explain how users can participate, whom they should tag, what hashtag they should use, etc. Link the challenge with your brand or product. Find a few influencers, which will help you to start a challenge. You need someone, who can drive the followers’ curiosity and encourage people to participate. At the first stage of the challenge promotion, it’s better to use paid social media advertising. Do you use chatbots as a channel of content distribution? If you have not added them to your website or social media platforms yet, you should do it as soon as possible. This is a great channel of content distribution, which allows every company to increase conversions and improve customer support. First of all, you should create a Facebook Messenger bot. It will help you to attract the attention of Millennials and Gen Xers, which prefer to communicate with companies on social media. Young people feel absolutely comfortable interacting with the chatbots. Artificial intellect will help your company to define the needs of your target audience and satisfy them fully. Chatbots can ask a uses a few basic questions to provide the most relevant content answers. 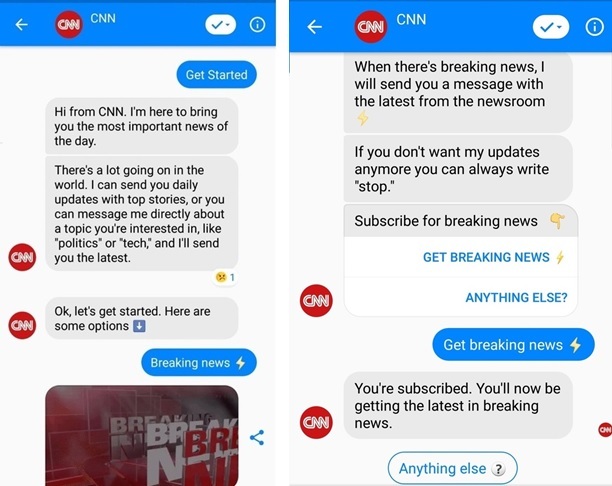 News agencies, such as CNN, use messenger bots to provide readers with the articles, which are really interesting to them. CNN offers you the option to subscribe to the different types of content to ensure that a user will not get any spam messages. If a reader wants to unsubscribe, they can simply write the word “Stop”. You don’t need to be a master in engineering to create a chatbot for your business. Link your Facebook account with the chosen platform. Create a Messenger greeting and welcome message. Write a scenario and create default replies. Add AI rules. Customize the boxes: If User Says Something Similar To and Bot Replies. Test how your chatbot works. Make sure that AI rules work effectively. 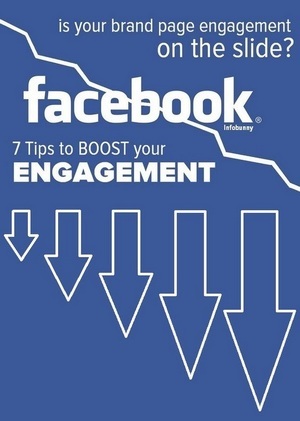 Finally, don’t forget to add a Message button to your Facebook business page. If you want to build a buzz around your company, you should incite controversy. 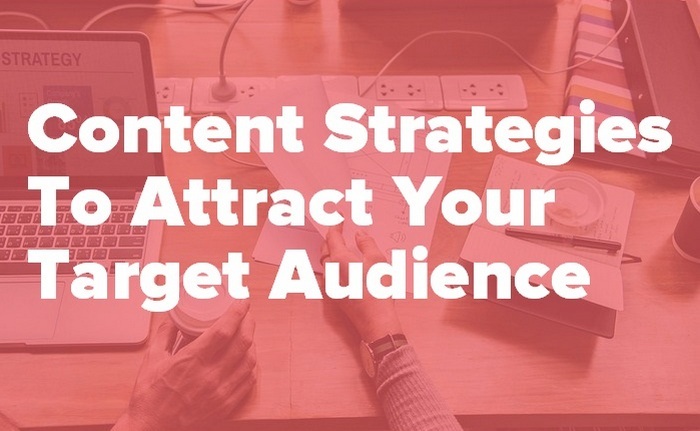 This one of the great content strategies to attract your target audience. In other words, you should create content, that will encourage your customers to express their own points of views. Everyone knows that 2+2=4, but you can stick to George Orwell’s theory, which claims that 2+2=5, can’t you? You shouldn’t be afraid that some people will not agree with you. Your major task is to make your target audience talk about you and your brand as much as possible. Even if they have never heard about your company before, now they will memorize your brand name. However, you should be very careful choosing your arguments. Don’t create content, which will make people doubt your professionalism. If you sell vegan products, don’t write an article, which explains why cow milk is good for health. 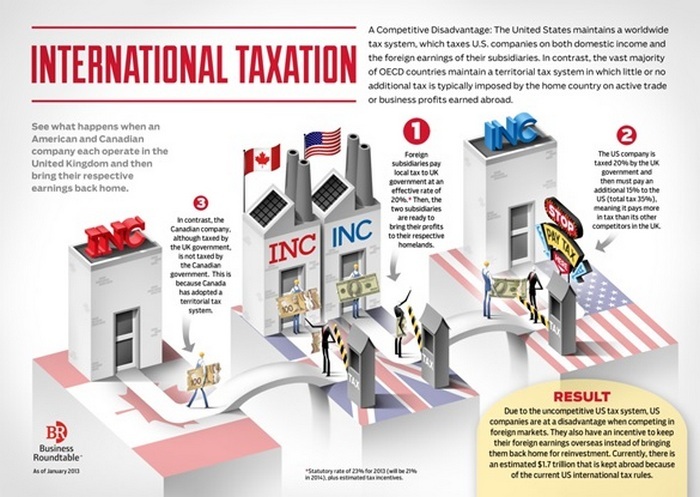 Infographics are a mix of visual and textual content, created so that the human brain can analyze it easily. 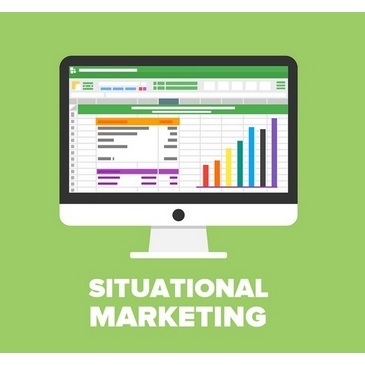 So, if your potential customers don’t want to read the abstruse articles or watch long videos, then the clever use of Infographics might be a good way to attract your target audience. Users like infographics even more than you can imagine. It helps them to understand even a complex subject just in a few minutes. High-quality infographics are handy content, that your target audience will like to save and share. There are a lot of online services, which you can use to create an infographic. Canva and Easel.ly are the most popular among them. These two services have a user-friendly interface, so you don’t need to be a professional designer to produce high-quality visual content. Choose a suitable colour scheme. Don’t combine more than 3 shades. Don’t overuse graphical elements. You can include only those items, which are really important. 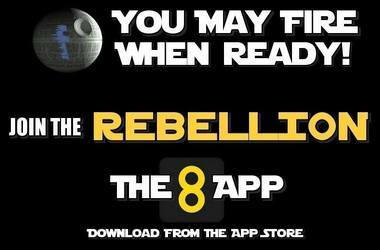 Make text readable. Select the appropriate style, size, and colour of the font. Nowadays, competition is tough, and standard content marketing strategies do not work effectively. If you want to help your business stay profitable, you should search for new ways on how to attract your target audience. Social media and new technologies provide your company with dozens of opportunities. Don’t hesitate to take them all. Diversify and update your content strategy to make your company stand out of the crowd. 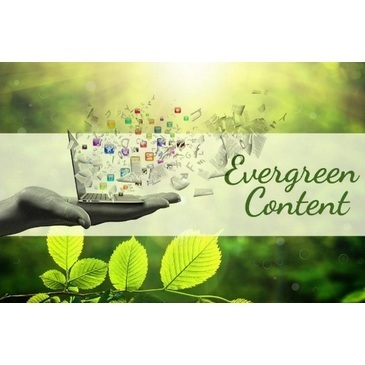 Do you have any of your own content strategies that you like to use to target your audience? 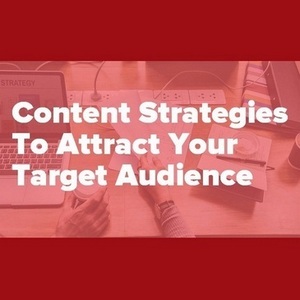 Here are 7 really simple Content Strategies to Attract Your Target Audience - Your marketing success now depends on your content strategies. Video is the wave of the present and future Daniela. I create 2-4 videos or more daily through Facebook and YouTube, then post to my blog. Rocking post here. 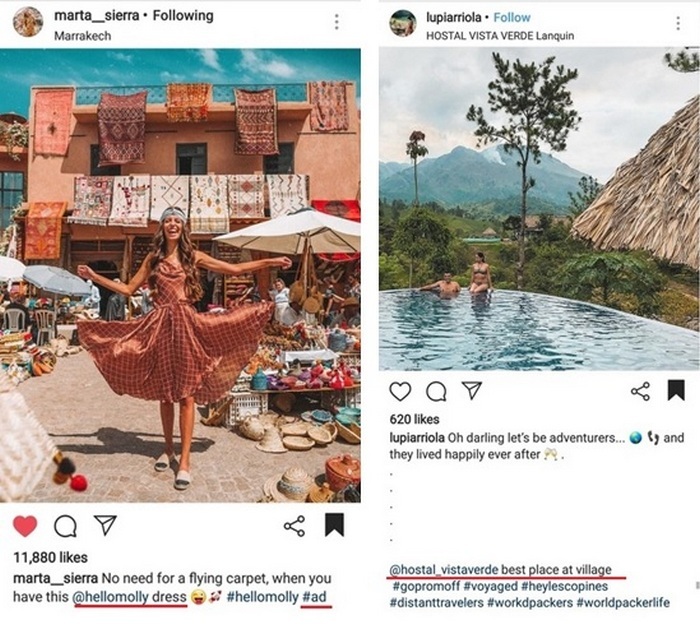 Great examples, incite controversy can sometimes create bad results for a brand, but is one of the bests way to be known (even if for wrong motives). Yes, but it can be a dangerous strategy. This post was just wow. It gives a lot of knowledge, I want to thank you a lot. 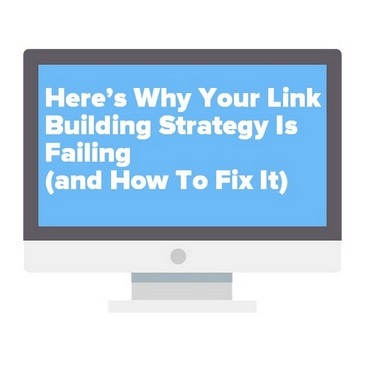 Thank you so very much for the great Content Strategies to Attract Your Target Audience . 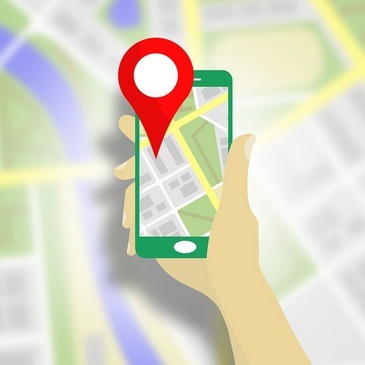 digital marketing Brisbane recently posted…Is your business suffering growing pains? You can attract users not only with the help of Influencers, but also likeslive.com. I have been using this application for a long time and am very pleased. Large selection of settings, many features. Helps to promote your product. I tried several similar applications, but I liked it the most. It is especially convenient that you can use it in several social networks … VKontakte, Instagram, Facebook, YouTube and others. The article is interesting, thanks. Thank You for sharing the above Content Strategies. They are very helpful for every Digital Marketer. Exceptional content writing. Many of us can gather knowledge from this post. Thank you for your great information. it is very beneficial for my business.